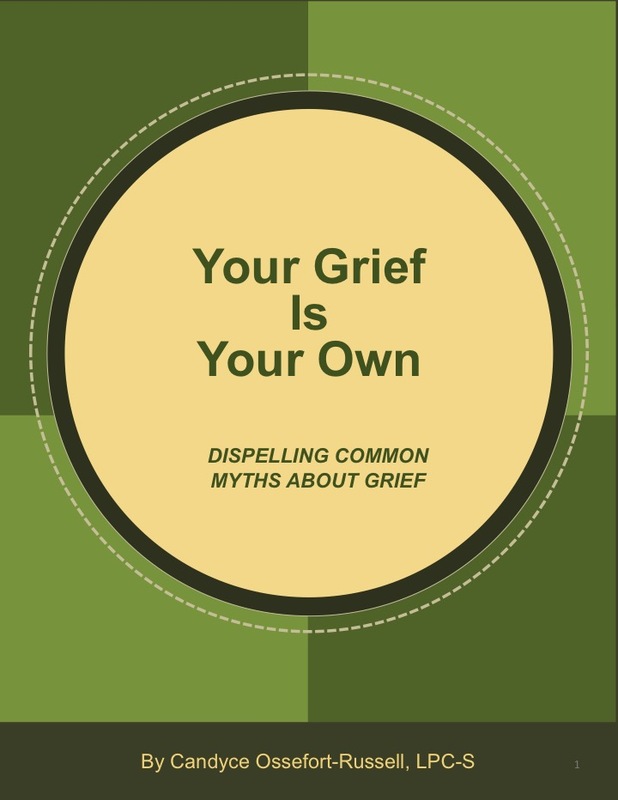 is an easy-to-read book that dispels common myths about grief that make grieving harder than it has to be. I've lived through loss myself, and I wrote this book to validate what you're going through and to help you feel less alone in your grief. Copyright 2017 Candyce Ossefort-Russell. All Rights Reserved.